Get More than Skills. Get a Degree! IMTI has been accredited by the National Center for Construction Education and Research (NCCER) for 20 years building a curriculum that is continually expanded to meet the current needs of the construction industry. Whether you're an employer or a learner, NCCER helps you by standardising skills so you can succeed in a global market. NCCER's portable credentials are recognized around the world, enhancing career development and recruitment opportunities for learners while improving industry standards for employers. - can be used as professional development to higher-level, better-paid jobs in the industry. With IMTI/NCCER, your achievements are recorded and maintained throughout your career, promoting career growth and creating opportunities. If you wish to enter the construction industries for the first time, you can use your credentials to enter at a higher level than entry level. IMTI/NCCER credentials will distinguish craft professionals from among the pool of job seekers. If you're a craft professional who has already developed skills through on-the-job experience, you can evidence these skills with IMTI/NCCER credentials and use that to compete for career advancement. An important aspect of standardization in training is to ensure that material is presented and used in a consistent, standardized manner. 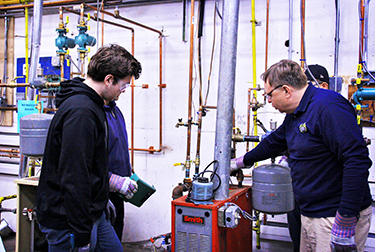 In order to ensure instructional quality and continuity all IMTI instructors have been certified by NCCER to have a thorough knowledge of the instructional materials, how the materials should be used in addition to having a State of Connecticut trade license with five years experience. 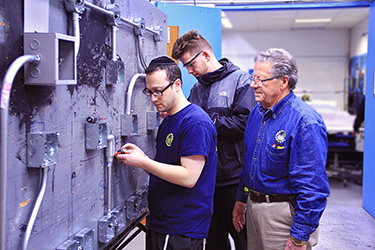 Click HERE to see our apprenticeship programs.